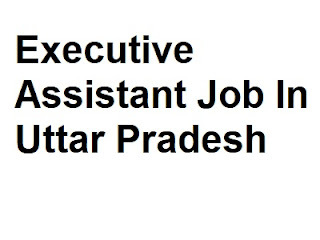 Today we are publish new Executive Assistant job in noida. Felix Hospital and healthcare ltd want best executive assistant to manage there hospital assistant. This is a great opportunity for noida married femal, yes you heard right. They want only married female for this job. And also this female are lives in noida, they don’t need out of noida candidate. Felix is trusted healthcare hospital in noida for all medical services. According to me this is very high salary job because they give 20000 to 30000 for per candidate. In this article we are give you all job information after then company details. And end of the article I will teach you how to apply for all job perfectly to increase your chance for all job. Visit our website for more information - www.felixhospital.com for more information about us. Now We have an opening for the 'Executive Assistant' for our CMD, for our hospital for only Noida location candidate apply. For ONLY MARRIED FEMALE Candidate required. as per the following details. Pleasing Personality, with communication skills, Should be very good at MS Office and familiar with general admin works and many more additional services. Only married female candidates are intelligible for this post. Interested candidate can share their CV at careers@ felixhospital.com if we found your CV suitable we will call you for the interview. Should have approx 2 years of experience in similar profile. Here all job details are our now we are go for company details. Here all company details are our now I am teach you how to apply for this job, professionally to increase your chance for this job. How To Apply For This Executive Assistant? Here I am provide you 3 way for applying this job. In this step you have to send your resume (CV) to company main mail id. Here I give you 2 mail id, now choice is yours which mail id do you select. Here you can direct call on company phone number and book your interview time and date. This new job is still available on indeed so you can apply on indeed but indeed takes lot’s of time for interview management so according to me you have to use 2 option for applying this job. Note:- We took this job from indeed but here we provide more details about job and company and as well as here we provide more way for apply for this job. Best for Luck for interview and your new job.